Our pre-employment assessments predict on the job success in your candidates so you feel more confident when hiring. Our testing program assesses personality, interpersonal & communication skills, behavioral aptitude, honesty, integrity & attitude for a well-rounded approach. Our software is fully supported, administered & managed online via your own personalized client portal system. We offer complimentary reporting consulting, tons of hiring tools & resources to help you hire better people. The Hire Talent Reviews Recently Reviewed! Pros: We have used the Detail Skills test to screen applicants for our medical front desk position. It is a very good measure of attention to detail-quite difficult for many people, as it turns out. A high score on the test has meant a good fit for us. Some of our applicants have complained that the instructions for taking the test were misleading and hard to follow-that too has been a helpful part of our screening process. If they can't follow the instructions, they aren't likely to succeed in the job. Cons: The online customer portal was still in development last time I logged on-I wasn't able to find past test results. It's not a big problem, because all results have been emailed anyway. Overall: The service is easy to use, tests are affordable, test results are in my inbox almost immediately, and customer service has been responsive. Cons: We knew The Hire Talent was right for us but we were initially concerned with the cost & customer support. Well, we're glad we reached out because we learned it's very affordable & customer service is phenomenal. Pros: Our company uses this product daily as we continue to grow and hire new employees. The assessments aid our team in screening potential talent and making the smartest decisions for our company. Cons: I cannot think of anything that I do not like about this software/program. The Hire Talent is part of our hiring process. Their % chance of success predictor is consistent. Pros: It helps us make solid hiring decisions. 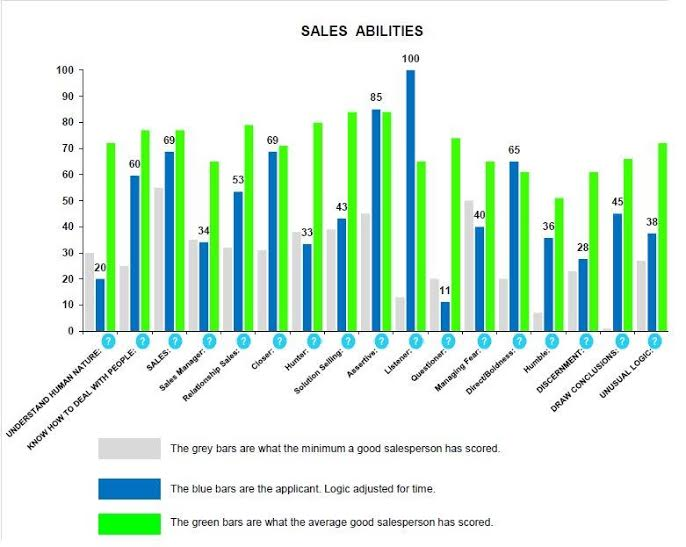 We have a minimum benchmark score for applicants. We can also consider areas of importance such as attention to detail, and whether the applicant is more suited to a customer facing role or a technical role. Cons: There is a learning curve, but the support is always there to help interpret the results. I do highly recommend. Overall: We use their software assessments to assist in hiring decisions. We have learned the hard way when we don't follow our benchmarks it can come back to haunt us. So glad to hear you've found the tools so useful in helping you make better hires over the years. Thank you for the wonderful review! The Hire Talent is a superb, high quality staffing service. Pros: The candidates recommended to me were carefully selected and thoroughly vetted. Detailed information was provided to each candidate via excellent tests and thorough interviews of the candidates and references. Our employees hired through The Hire Talent are outperforming all employees hired through other sources. I couldn't be more satisfied. Overall: Excellent employees and learned a great deal about the entire process. Billie, thank you so much for the 5-star review and your comments. We're excited to hear that your employees are performing to your expectations! It's been an equal pleasure working with you! Cons: No Cons to report. I really like the value that I get from using all aspects of this service. Overall: My experience has been outstanding. In every aspect, I am provided with good service. If I have a question, it is answered promptly and thoroughly. I feel as though I have a ready consultant on my shoulder ready to assist and discuss with me any difficult choices that result from the results of the testing. They have this area nailed, and I am very satisfied and content with the system. Pros: The tests are a great way to evaluate potential candidates to hire, and we found the results to be extremely helpful in the hiring process. Cons: Our experience was all positive. I can't really think of anything that they should be doing different. Overall: The Hire Talent and their testing software are valuable tools when it comes to trying to find the right fit for your company. It's amazing how accurate their tests are and how the detailed results really help you pin point someone's strengths and weaknesses. I highly recommend their services! 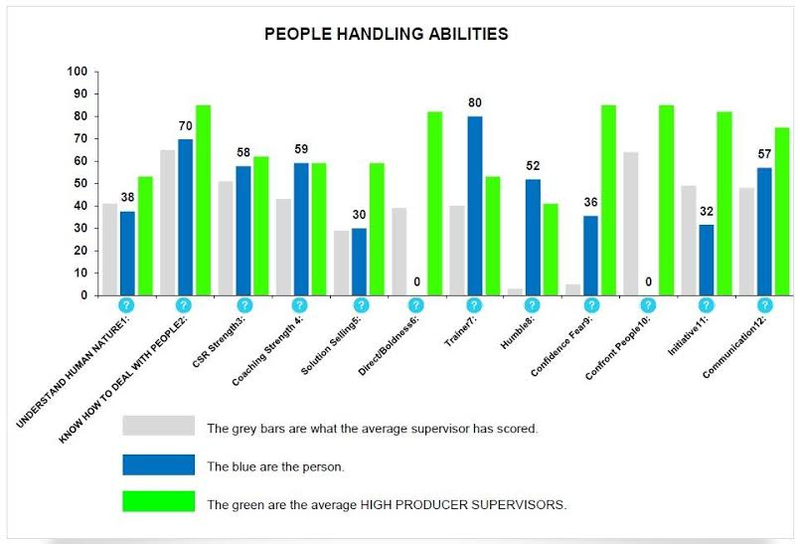 Pros: It really does give a fantastic overview of a prospective employee's aptitude and abilities. The results are mostly understandable. In times where you are not sure of the results, customer service is available to help. Cons: The Word & Excel tests are a few versions behind what everyone is using. Candidates also complained about being able to complete the Word & Excel assessments. Overall: Results from the Hire Talent have helped us to improve our questions for applicants. Also, when we do hire employees, we know what their strengths and weaknesses are and can tailor our training for them. This software helps us to select better employees. Great experience, very helpful, only Hire testing I have confidence in. Pros: The great testing results in great hires. I have used the tests for 19 years and won't hire without testing first. Results have been exactly what I found the employee to be like after working together. Considering the cost of a bad hire, this is a great deal. Best recruiting firm hands down! Pros: Extremely thorough team that takes there time to learn about your company and your needs. The interview and screening process is meticulous and the testing results they provide truly help you decide on the best candidates. I HIGHLY recommend this firm! Cons: No Cons.. they are amazing and the price is very fair. We've tried alot of firms and this crew is by far the best. Thanks for the 5-star review, Roger! Working with you guys has been pretty great too! The software helps us to determine whom to hire and not to hire. Pros: Able to evaluate a person before hiring them. The software has really helped us. We are able to review in a group and get everyone's opinion. Cons: Maybe not making the assessments so long to take, make them a little shorter in time. Other then this there is no cons with the software. Lisa, thank you for your 5-star review! We're glad to hear that the assessments have been helpful in your hiring process. 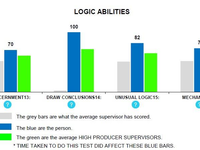 We use pre-employment tests for hiring decisions. Pros: We use a few assessments that provide critical information in weeding out applicants who would not be a good fit for the position we are hiring for or for the company. I know using these assessments have decreased our employee turnover rate. Cons: I am very happy with the software. The only thing I can report negatively is maybe less promotional emails. Pros: Easy to send tests to candidates. Easy to discuss tests results with someone. Cons: Some candidates can not load the tests. There is not one to call concerning this that knows how to help them. Overall: We are using the tests to screen employees pre hire. I always struggled to right person for my office position. The Hire Talent fix my problem. Cons: I found nothing negative about the software. The approach was different from any other similar, but the resulted exceeded my expentations. Overall: Hire a person that fits the needs of the job, thus a win-win because the employee is happy with their job. 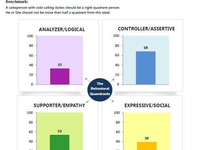 Great tool for evaluating prospective employees! Pros: We have used TheHireTalent evaluations for a couple years now. We have found the evaluations to be very accurate and helpful in the hiring process and will continue to use them for future hires. Overall: Evaluations have been spot-on, response time on receiving evaluations has been good, customer service very responsive. Satisfied customer! Pros: I can't stress enough how happy I am to have a tool to benchmark with. It's hard enough hiring without any data. The Hire Talent gives me more confidence to make decisions. I'm a data nerd and it sooths my empirical itch. Cons: There's no magic "make all my decisions for me" button. James this is one of the best reviews we've read yet! Thank you for your faith in us. We're glad to hear that you are getting the most out of our assessment tools! I found the process to be organized and easy. Pros: I thought the customer service was remarkable. The software was easy to use, and timeliness of the follow up reports were great. Cons: Although the follow up reports seem very reliable. I thought the results in very few instances when measured were not specific enough to our industry. However, I we would use them again. Overall: Was able to get a better understanding of potential candidates and used this software to measure our steps in the process of moving forward or stopping the hiring process. Pros: I enjoyed the ability to review the analysis of the test takers and ask The Hire Talent questions that would help me determine the direction in follow-up interviews. Cons: Nothing. I truly enjoyed the software and we will continue to use it in the future. 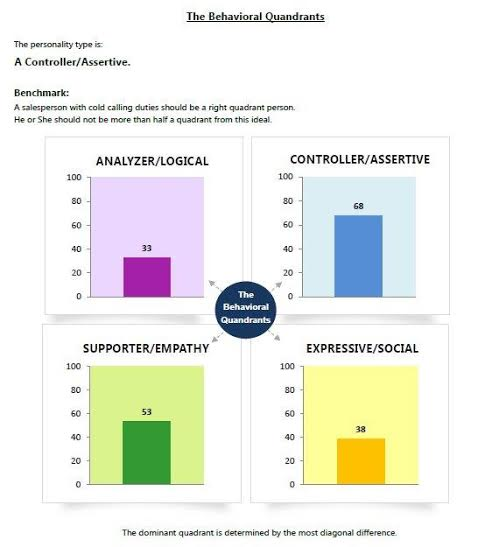 Overall: We used the software to help us determine the proper candidate for a role. The software helped us eliminate a few candidates by helping us narrow down interview questions. We definitely made the right choice on our candidate and the software made it clear who we should be hiring. Thanks for your review! We're glad to hear you find our assessment tools so helpful in selecting the best candidates for your positions. Pros: Provides a method to objectively rank candidates beyond subjective reference checks and interview results. Cons: Results can sometimes be contradictory between different tests. Test results are not always straightforward to interpret. Pros: It has been incredibly useful for us to receive real-time results on our candidates' performance. It helps our interview process to have immediate performance feedback and simplifies hiring decisions. Cons: I wish there was more detailed information and explanations on candidates' performance. 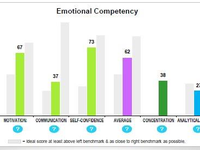 I would like to see a deeper analysis of strengths, weaknesses and performance indicators. Thanks for letting us know how you like our service! We're glad you've found the product to be user-friendly. The Hire Talent service has significantly improved our hiring process!! Cons: In the beginning, we had several issues with the Excel test which required assistance from 2 staff members. Overall it took nearly 2 weeks until we were able to use this particular test for our Administrative Assistant job openings. Overall: This software has helped us hire 5 new hires and counting! Stephanie is always on point with anything I need and the tests have helped us immensely. Pros: The ability to determine a candidates ability to perform certain job duties prior to hiring them. The tests allow me to determine if I want to bring a candidate back for a second interview. Cons: Some of the pricing for certain tests seems to be a little steep in my personal opinion, but otherwise nothing. Thanks for your wonderful review, Destinee. We're glad to hear that you've found the tools helpful in your hiring process. We found excellent candidates through their analysis process. Highly recommend. Customer support is excellent! They are readily accessible to answer questions and share insight. Pros: I like most the customer service - being able to schedule a call to discuss the reports in general and specific results. It is also very easy to send the link to the people I want to take the assessment. Cons: Some parts of the reports are confusing and not easy to understand, but the experts at Hire Talent are very accessible to ask questions. Pros: It's easy to use and helps me get a better picture of who the candidate is before I decide to hire them. Thanks Scott for the review! Glad to hear the assessments have been helpful for you. Hiring is the most important thing I do and Hire Talent helps me make better decisions. Pros: Helping me select the right candidate. 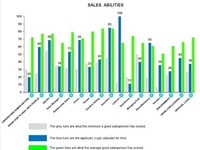 I can easily get to any candidates score so I can compare a new prospect's score to a good employee's score. Thereby making a better decision. Cons: I don't always know which test to use on candidates. I just call Fletcher to figure that out. And sometimes the test is not available for a while - a day. thank you for taking the time to review our testing. We're glad to hear the tools help you in selecting between candidates. We enjoy working with you! 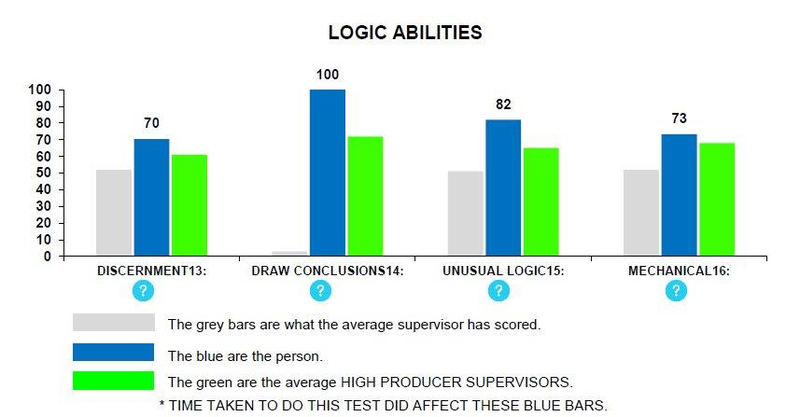 Pros: Our company uses these assessments in our recruiting process, and we look for any positive or negative trends/behavior based on the data. The reports are easy to understand, and the process of having the candidates complete is seamless. Overall: Accurate data that enables us to make smart hiring decisions. The hire talent is an excellent resource and tool to assess potential new hires. Pros: I like the ease of use of the software and the quick and easy set up they help you take care of. I like the quick turnaround times after that new potential hire takes assessment tests. I like the fact that you can talk to staff to get more input on the results of the tests. The entire staff at new hire talent is awesome to work with. Cons: The only thing I do not like about the software, is that it's not a bulletproof way to hire or not hire an employee. You have to use it as a tool and utilize all information gathered and then make your decision. Overall: I got a better sense of the person I may be hiring. We have had wonderful customer service and find the process simple and user friendly. Pros: The software is not clunky and cumbersome like software we have used in the past. We are a small organization and do not have time to waste trying to figure out a more complex system. We have been very happy with the results from using this software. Overall: We have saved so much time! Pros: That it is easy to find a test that could pre-screen potential candidates. They ask alot of good questions and get the results back in a timely manner. Overall: Ability to screen a candidate before I meet with them in the office. Saves time and gives me a better picture of their aptitude for the position being offered. Enjoyed the seeing results, but had trouble interpreting, needed a bit more training. Pros: Seemed to work well, give results expected. We don't have a dedicated HR person or tech position on our staff to help with some of the finer details. With our current staffing levels, we just didn't have the manpower to be able to use the program to it's fullest. Cons: The layout of the final results could be laid out in a more easily understood/simpler way. We most likely needed more training and to have done more research about ow to implement results from this software. Overall: It's a good start for us to determine if a program like this will be useful to us and to see if we can implement it as we grow. Right now, I think our company is too small to reap real benefits. At first I was skeptical, but once I dove in, the results were exceptional. Highly Recommend. Pros: I liked the options and functionality. This software is much more robust than the software I have used in the past. Pretty quick too. The candidate review process if fantastic. One of the best parts of the software. Also how easy it is to navigate through candidates. Cons: There is a lot of options and with that, you need to figure out what the most important ones are. So take your time and play with it a little. Pros: I appreciated the user friendly software, and the efficiency of quick turn around. Customer service was great also. We hadn't hired in 12 years so the process was extremely helpful and we definatley made the right choice after using the software. Cons: could we have made the graphs on two potential hires be side to side to refer too? compared to two different print outs? This has been a game changer for us in the hiring process. Pros: After the purchase you can still reach out for help with out calling a 800 number and get transferred a bunch of times. Cons: We would appreciate a walk through of how to interpret the information received, instead of us calling to find out. I have found great employees through this testing. They don't always score well on the test. Pros: I like the breakdown of the candidate's qualities and characteristics. I like how I can get additional feedback and guidance from "The Hire Talent" Staff. Cons: I don't like the price per test, as I would like to send it to candidates earlier in the interview process but the cost of each test keeps me from doing so. Overall: the ability to objectively test candidates across a spectrum that is hard to view objectively. Cons: Nuances in the software (specifically for the Call Center Simulation Test) weren't captured or clear in the instructions. Unclear on-boarding process: back-end/client portal login, vs. customer-facing/test portal. Overall: Great customer service and technical support, I've always had my queries thoroughly answered in a timely manner. Pros: User friendly and Support accessible. Able to get help easily. Cons: Don't know enough about he program to evaluate. Overall: Staff is friendly, helpful and knowledgeable. Some assessment takers get confused with logging in and finishing the assessment (the final step). Pros: The else and look of the assessments. The assessments questions are prompted and also at the bottom right corner so that assessment takers know where to look for the original question. Cons: Too many steps to before taking the assessment (setting the assessment taker's information and stuff). Very professional company with innovative ideas. Pros: Very easy to use and effective. The Hire Talent has obviously spent 1000 of hours in research and development. Cons: That I didn't discover it sooner. There aren't any cons in my opinion, this is an amazingly easy solution. Extremely useful tool for staffing! Pros: I really appreciate the ease of use. I feel that other product are so clunky and make me dread using them. Not so with this program. Glad to hear you're appreciating the ease of use our testing program offers. Thank you for the excellent review! Pros: Easy to setup and use for both administrators and candidates. Cons: Communication from Hire Talent was a little too much for me, but I get why. They want to make sure that you succeed with their product. Cons: There aren't enough tests to test unique positions that we have had to hire so we have had to make due with what tests they have available. Cons: The time it takes to fill out the assessments.